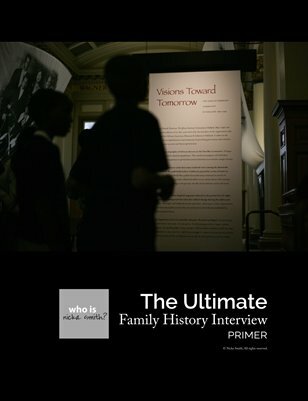 Announcing The Ultimate Family History Interview Primer! - who is nicka smith? 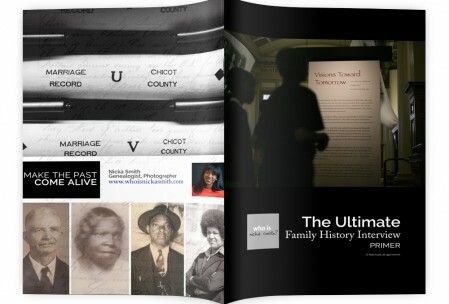 Announcing The Ultimate Family History Interview Primer! It’s here! Get your copy of my newest publication! This combined list of nearly 190 questions was developed with the intent of conducting a video or audio taped interview on an individual who wants to leave a personal record behind. Additionally, an individual can use their responses to these questions as prompts to develop a manuscript for an autobiography. I can guarantee you won’t need another thing to help you with your family history interviews. Period. It’s now available in hardcopy for $10 each and digital version for $8.00. Click here or see below to order. Pingback: Say WHAT?!? #BlackProGen at the Genealogy Jamboree! 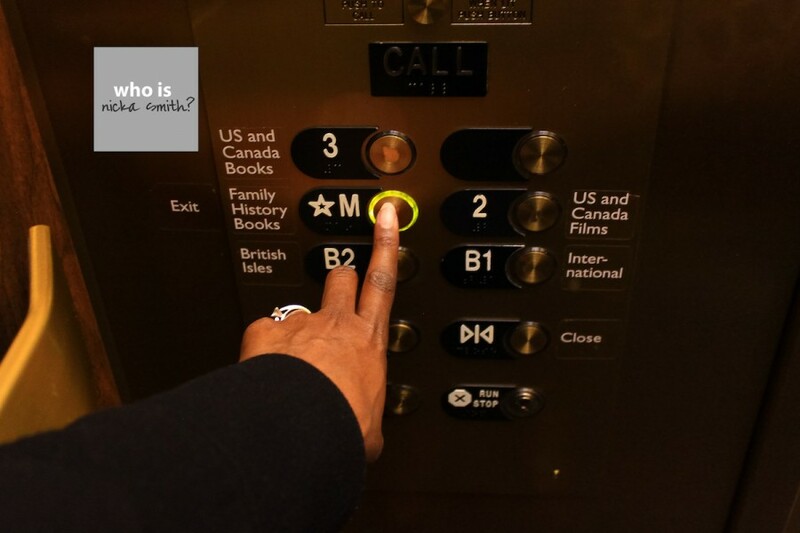 | who is nicka smith? Pingback: Catch My Interview on Research at the National Archives and Beyond! | who is nicka smith?